"Leading Call Tracking Software -Don't Hesitate"
The ease at which I can get data on which of my Marketing efforts are translating into real leads for the business. Also the account managers are amazing and always wanting to make sure we get the most out of the product. There's nothing really, but if I had to pick, it's the new look of the dashboard- but that's just because I'm not used to it yet! That said, it does look like it has a lot more to offer than the original version. Make sure to make sue of the account managers and support team - they are super helpful and always try and make sure you're getting the most out of the tool. Keeping you informed of any new developments, reviews of account performance etc. At a glance see where you are getting the best ROI. Multi-channel attribution. Call handling response times etc. "Probably the most intelligent call tracking software on the market"
Being able to attribute call conversions to the correct marketing channels and optimise accordingly, which is cruicial to our business as most of our guests book their cruise over the phone. A live chat support would be handy to resoleve minor issues quickly and it would be great to receive alerts when there is an issue with tracking. If you want to be able to attribute call conversions to the right marketing channels to achieve the best ROI then choose ResponseTap. The customer service team are fantastic and we'll ensure you get the most out of the software. Ensuring that our significant advertising budget is invested in the makreting channels that help us achieve the best return on investment. We have recently decided to offer our customers a Freephone across our wesbite and ResponseTap helped us achieve a seamless transition. "Great Service and great support"
Best thing about ResponseTap has to be the direct email and telephone support. Response time is incredible even at weekends and the manager is always available to answer any question and to get more out of the system. We are a small client and I was surprised at this level of support normally reserved to bigger Enterprise-level clients. This is no fault of ResponseTap but since Google implemented https only searches and therefore no keyword tracking is available for organic traffic, the value in a tool like ResponseTap kind of dropped a bit. Speak to the team and ask for a Demo they will be able to advise you in an honest manner. Tracking of calls and attribution to marketing spending - understand which pages generate calls - understand which paid searches generate calls. "Can be difficult to implement"
Easy to implement if you're platform allows it. We have had issues implementing on Episerver due to issues with span tags overriding existing div tags. Good support though. Had a few issues with reporting interface, and some of the tracking initially seems a bit unclear, but early days. Ensure your current platform will accept the code and you have the technical ability in-house to make any config changes. Previously we've been unable to track enquiries back to a source, so our PPC campaigns have been inefficient as we have had no attribution for telephone enquiries. As we've started to receive tracking data we have immediately been able to start refining PPC campaigns to reduce costs. The reports are easy to understand and call listening is a breeze. It's made it a lot easier for us to keep track of calls, and better attribute the work we're doing. Setup was also quick and easy. I would like it if call recordings stayed in the log for slightly longer than 30 days. It can be useful to go back over calls and often they've already been deleted. It's making attribution easier, with us more easily able to tie an ROI to phone calls, which is realistic in a world where people don't call straight away and may enter your site from multiple touch points. "Probably the best call tracking solution I've used"
I love the attribution call tracking to actually see the first click channel and last click conversion path. I'd like to have a chat facility for support to resolve any issues. Quick and easy to implement, I've used 4-5 different reporting platforms and this is the best, bar none. We create a bespoke all channel marketing report for a client and having the ability to export the data to customise the vlookup section is great. It's a quick way to report daily performance and attribute conversions in the correct place. The level of support from our account manager to technical support is immense, the insights available from the platform has given us the ability to make many positive changes to our campaigns. Not much to dislike really, pleased with regular updates and available to help at any given time. Our primary goal was to improve our PPC campaigns and we've struggled to do that in the past, however ResponseTap has given us the ability to see which specific campaigns are driving calls and conversions. We've also benefited from having single numbers being tracked from various channels (Social, Email signature, E-Marketing). We've been using ResponseTap for several years now and its uses continue to grow. It helps us to audit our channels and our clients to audit their processes with listening options and post-call IVR. The dashboard is still a bit tricky to navigate in places, but it's much better than the older version. At the moment, you still have to go back to the old layout to change account settings, which isn't really a problem but is slightly incongruous with how intuitive the rest of the platform is. ResponseTap helps us to see which channels are pushing people to call our clients, and how they then interact with the brands. It's helped us to measure ROI more effectively and demonstrate to our clients where their sales/call handling processes could be improved for better performance. "The call tracking solution is great but it's the support team that make it 10/10"
Every time we have an issue or a query, the support team respond quickly and are always able to quickly solve the issue. In a world of artificial intelligence, we rely on the Responsetap data to inform bidding models and key marketing decisions. It's frustrating that any single numbers used cannot be sent back to AdWords and are therefore lost data when AIs look at it. 90% of our conversions are calls. We need Responsetap data to help us decide where to spend money on advertising and what channels work better than others. "Just the solution we were looking for!" A really slick and easy to use interface. Complex problems are met with very easy solutions, for example being able to track the number of calls going through directly to clients. Only small issue is that some of our clients are on premium rate lines which we can't direct through to. Mainly improving our client's views of the success of our platform. Our biggest issue was that we display clients contact details directly on our site, and had no way of tracking how many leads they were getting from us. This is the perfect solution and will not only help us provide a better solution for our clients, but actually help us to create a better service overall as a business. "Great service with a very quick & efficient support team"
When you need help with anything, the support team get back to you within minutes, often with a solution straight away. They're patient and efficient. The categories for adding your numbers are pre-set and not the most logical for us. Go through the system and see the different features that it offers - it's so easy to use and the team will help you with all areas. If you can go through a demo, it will really help. Able to report on the levels of calls from different channels and breaking this down by region/site has helped enormously and is something we couldn't do previously. It is enabling us to report more efficiently and plan our marketing campaigns better. "Fantastic: easy to navigate and seemless tracking"
The interface is very clearly laid out and allows you to find what you want fast and easily. The quality of recordings are also crystal clear too. Nothing immediately springs to mind, although the conversion goal tracking registers sales in currency as opposed to simply just discrete values. This doesn't make any difference day-to-day though. I've used Response Tap to track conversions from Google search advertising campaigns. The calls have also allowed us to spot customer information trends. 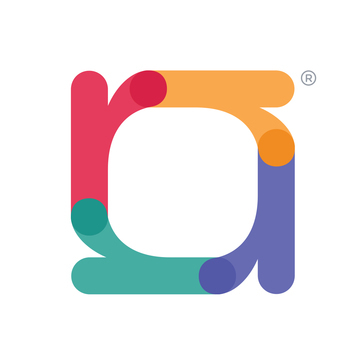 "Great call tracking and personalised service make ResponseTap a must-have for call centre businesses"
The system is very reliable and the analytics dashboards built into the product are great. We've been able to eek out a lot of useful information and get a much better idea about our customer journey since implementing ResponseTap. The development guys are constantly adding to the feature set, and being able to listen back to calls or retrospectively add a value to a customer interaction is very helpful. On top of this, ResponseTap support is excellent. If ever you have a question about integration, new features, pulling complex reports, their telephone and email support staff are always helpful and quick to reply. ResponseTap allows us to add value to our clients with reliable call tracking and recording. This complements our online activity and helps us to assess the real value of each channel. Using ResponseTap, we've been able to improve our enquiry quality and learn more about which channels drive the best ROI. If you're running a business that handles calls in any way, I would wholeheartedly recommend ResponseTap! Really easy to user interface, great reporting options and loads of support available. They've run training sessions for us and are always checking in to see if we need help. We're now able to realise the true performance and potential of paid activity and allows us to better attirubite calls. I love the functionality and the insight we get being able to attribute success to particular channels and creative. I also love the fact that I have access to immediate support by phone, email or even face to face. Not being able to listen to calls over 30 days old. Attribution is the key benefit, being able to understand what works and does not enabling us to optimize performance and not continue with things that do not work. very good support from staff, easy to setup and produce reports in analytics. Good call tracking solution. It allows us to to track calls for conversions that we can segment by channel in analytics. ResponseTap support is great. I have monthly catch-ups with my account manager to answer any of my questions and ensure I am making the most of the product and aware of all the updates. The new insights platform gives me some great information and reports which help me assess by campaign performance. Not much to say here as I'm pretty pleased with the recent improvements and increased support levels. ResponseTap's call tracking allows me to assess the performance of campaigns and channels across my operations and therefore increase my ROI. "Great product and amazing customer service team. " Had no issues setting up Responsetap - seamless transition and very easy setup. It is definitely a step up from our previous tracking provide specially with regards to the customer service. The team and our account manager is always there to help us with any support issues. NO dislikes so far as they have been pretty amazing. The only thing that might add more value are additional data filters in the RT dashboard. We have been able to track all our digital media spends to different digital sources including PPC, display and others. Easy to set up (minimal dev support required), easy to understand reports and static numbers for offline campaigns. There really isn't much to dislike about the product, but I'm sure they'll continue to improve it over time. Helping to understand the interplay between offline and online and allocating budgets accordingly. "Overall I am happy with the service." Very good response time when it comes to contacting support. Simple to use interface. By using this product we now have a much better idea of where we our marketing budget is going. Sometimes there are occasions where data is not recorded and that is frustrating, but overall I am happy with the service. The accounts department never sends us invoices, we have to keep chasing for them every month which is annoying. The ability to track ROI on an ever increasing media spend. "Great support and great service"
Straight forward and easy to use. Excellent support, very quick response to all requests/issues and very quick resolutions. Interface is easy to use and provides excellent insight for our purposes. Dashboard contains a change log and work in progress list so very easy to see what is coming up. Very little. Changing between accounts could be smoother. We use Response Tap to measure campaigns, track results and monitor calls. This has helped is to refine campaign strategy and demonstrate direct ROI. "Best call tracking solution I have used"
Getting started is such a simple process, not too much required and the instructions are straightforward. The transition to a better platform for reporting has taken a while. The data is most useful straight into Google Analytics for us so this isn’t a great issue. The benefits outweigh any costs. We can determine exactly what spend is working or not and adjust budgets accordingly. I don’t know how anyone can run a campaign without call tracking these days. Every touch point from sales to account manager and technical support always give a prompt and high-quality service. Nothing - the technology is great and the service matches it. The team are quick and efficient and answered my customer support request speedily. There's a limit on the number of placeholders that are available for a single site. Different call tracking numbers for each lead. "Excellent tool that does what we need it to do"
Not much to dislike, the only issue is for a business expanding internationally, it is quite costly to use the tool in some territories. It was fairly complex to setup but great support over came this. Reporting on ROI from PPC investments. Works great as a method of tracking engagement with B2B clients. I can evaluate the success of a campaign from the call tracking report. Provision of a freephone number also improves customer engagement. Freephone number for B2B clients - encouraging engagement. Tracking engagement and performance. "Great for tracking marketing ROI"
Response Tap allows me to analyse calls via all of our marketing channels on a weekly basis, helping our team to report back to the business on marketing ROI. Sometimes there's an issue with creating numbers when it says we've reached our limit, however, support are quick to resolve this. Proving ROI from marketing channels. "Easy to Use and Excellent Customer Service"
"Useful tool for campaigns "
Ability to have specific numbers assigned to marketing campaigns has been useful to see incoming calls. Management of Individual numbers is not part of the redesigned interface, would be useful to be consistent. GDPR has made tracking specific numbers difficult. Being able to attribute calls to campaigns. The sometimes confusing interface the lack of Universal Analytics. Also, managing the approach internally has been a bit of a nightmare. Everyone has a different way of working. If you want to be able to weed out the pointless activities in your marketing mix, this, coupled with web analytics is the solution. Identifying successful online and offline communication channels, which has helped me shut down a number of channels wasting resource, allowing us to focus our efforts on those that worked. "Good product with useful insight"
I like the fact I can run a PPC campaign for a business that sells online (caravan holidays), but tends to require a phone conversation too discuss specific requirements, before bookings are made. Proving the 'true' number of sales and their associated revenue, that have resulted from PPC activity is a lot easier withthe call scoring option that response tap offer. i dislike the actual user interface of response tap, reporting and setting up campaigns has proved difficult on occasion and things could be more clearly labelled and explained in a better way. the problem of calls into a business and knowing the source of the call has now been solved completely with response tap. we have been able to push more ppc budget forward as we can now quantify that ppc is driving a lot of calls that result in actual sales. "Largely positive, easy to use navigation - however lacked some of the more detailed features"
The simplicity of the back end system made reporting MI easy and allowed for a rapid turnaround of statistics for management. The limited scope for reporting - after using the system for a while I realised that we needed a more in depth set of reports from the system. This meant moving over to Google Analytics for the bulk of the reporting rather than using the RTap system. This wasn't an issue as we were all fairly familiar with GA, however it would've been nice to have these features all in one place. Definitely worth considering if you're looking for a quick and easy way to track ROI across multiple channels and especially useful if you're working with systems that are digitally focused but aren't traditionally ecommerce based. Tracking ROI and engagement across print and digital in financial services, whereby conversions were unable to be tracked across multiple systems. This is state of the art technology that gives you seemless information about sales calls. The program sets out specific information that is extremely useful and a wonderful way to track information and plan better for better sales in the future. The best part, is it fits perfectly with existing technology. Nothing, this program is great and I wouldnt change a thing. Great product! You are going to get a ton of information that you never thought was possible. Sales demographics, integrated information, specific knowledge useful for better planning. The customer service is really top drawer. If we have experienced problems they have been dealt with swiftly & efficiently. The product itself is an improvement on what we had previously allowing better tracking with our interal system. Tracking an initial call through to appointment / sale on the back of a specific keyword search. Without a CRM we are using a clever solution with ResponseTap making this possible. How easy it is to create trackable phone numbers, then export the results. Not being able to search in 'Single Numbers' for individual trackable numbers. 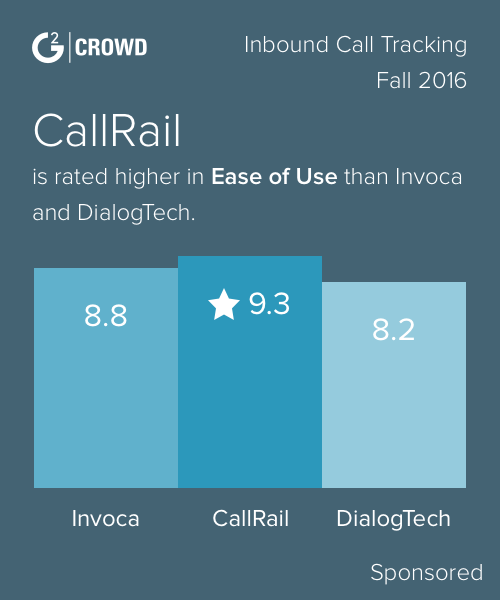 Being able to accuratey track call count and whether they are sales calls using the post-call IVR. "Easy and Beneficial solution to call tracking "
The dashboard isnt the easiest to use, especially when needing to download one time reports. We can effectively track calls from our websites, by channel (organic, paid, referral etc) and easily link the paid traffic calls from Google Analytics, giving us a good idea of ROI on the spend. "Helpful staff, good tracking tool. " Good tracking tool and fantastic support staff. Bulk single number management could be improved. We have a custom built CRM so their API has been integral to tracking leads for a number of years. It's filtering options could be improved and breakdown by 'device' category improved. Tracking calls from various digital channels dynamic numbers within a placeholder has been a game changer. "Great support in a large scale project"
We working very closely with Response Tap with a large scale telephony change across the entire British Gas and Dyno estate. The support from the Account and Technical Team was fantastic and really responsive. The dashboard - although good, could be easier to navigate for some actions. "Good product and great service"
The support is great and the product is very easy to use. I like also the fact that there are constant updates. The fact that to have a complete picture you need Google Analytics. But this is true also for many other tools. The main reason for us to use this tool is tracking website phone calls. "Great Tool but tough for a growing agency to scale with "
Price was way too high and tough to scale with smaller clients. "Helpful support and good service"
Friendly UK based support. Service does what is says, regular updates and improvements. All the features we use I am happy with. Our integration is simple and works well. * We monitor all ResponseTap reviews to prevent fraudulent reviews and keep review quality high. We do not post reviews by company employees or direct competitors. Validated reviews require the user to submit a screenshot of the product containing their user ID, in order to verify a user is an actual user of the product. Hi there! Are you looking to implement a solution like ResponseTap?